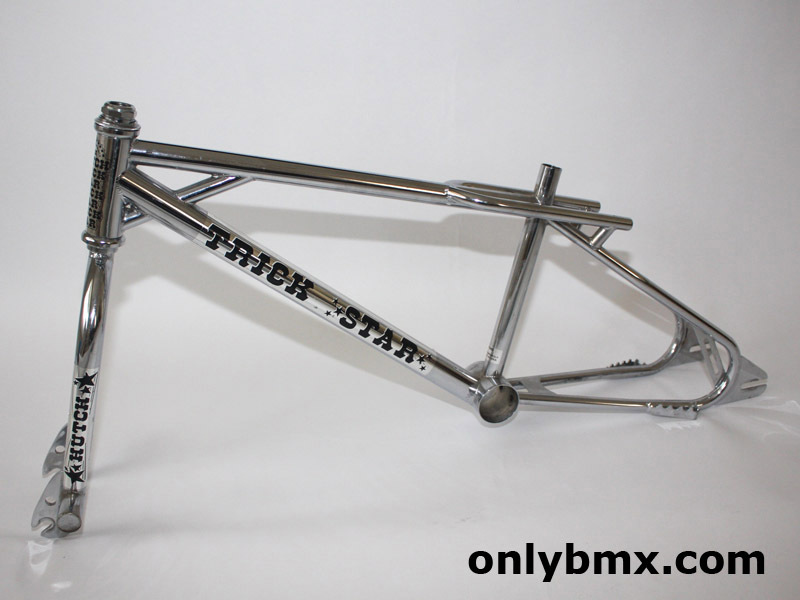 Great survivor Hutch Trick Star BMX frame and forks. 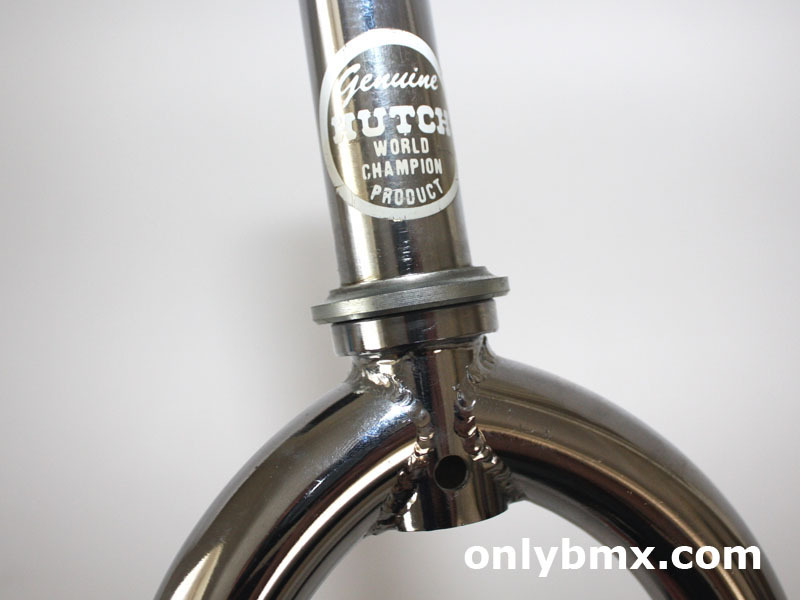 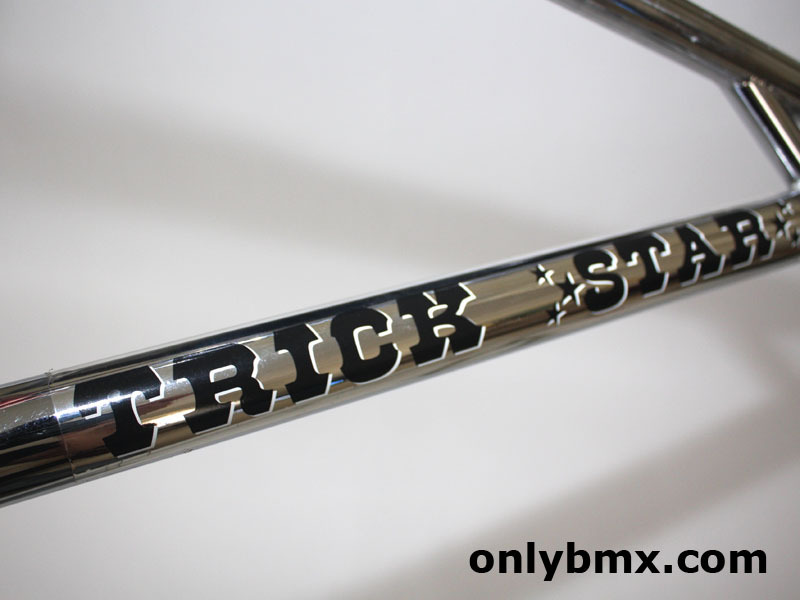 Chrome is great, original decals have minimal marks and dropouts are not chewed up. 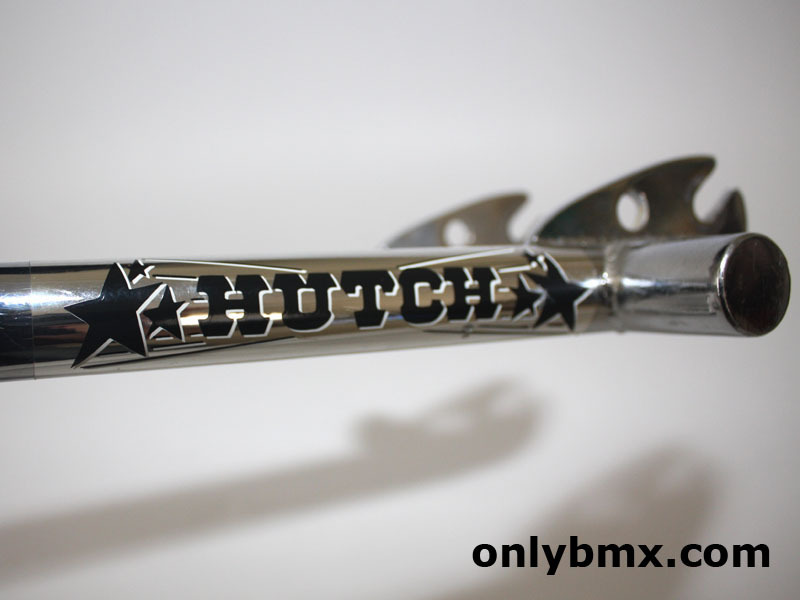 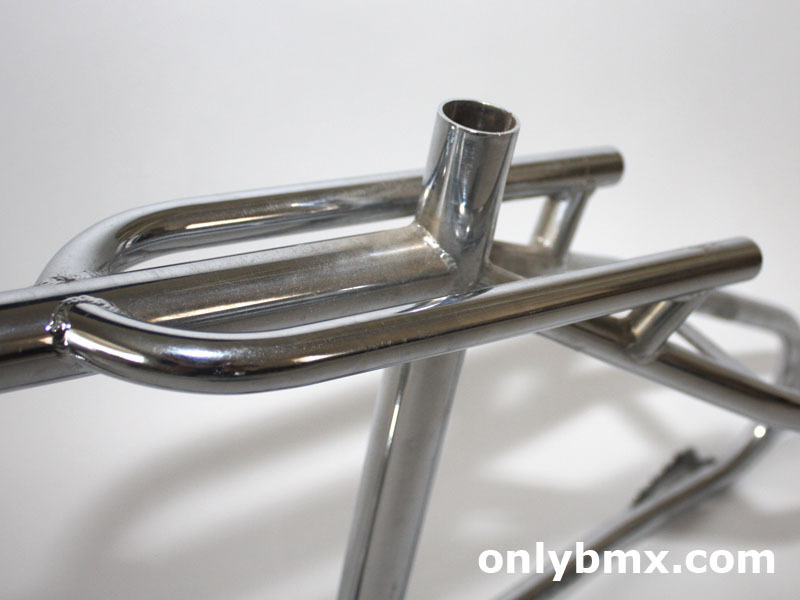 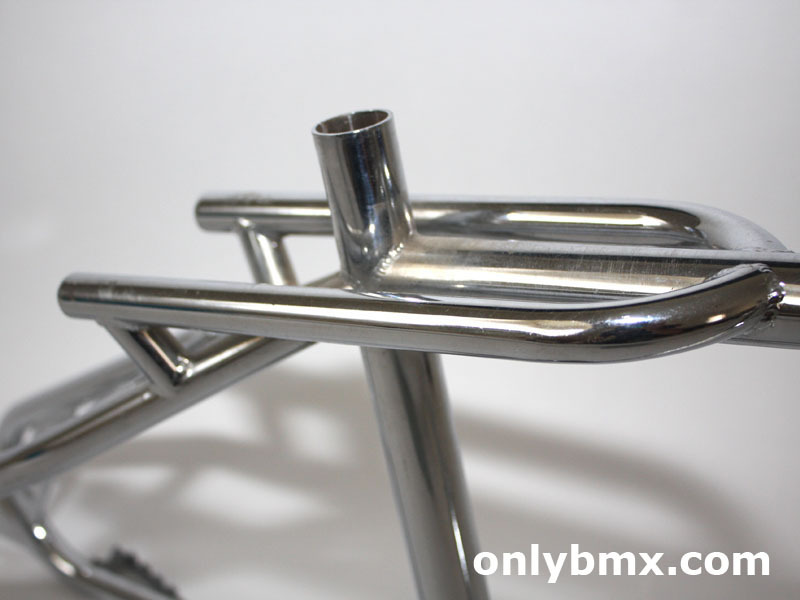 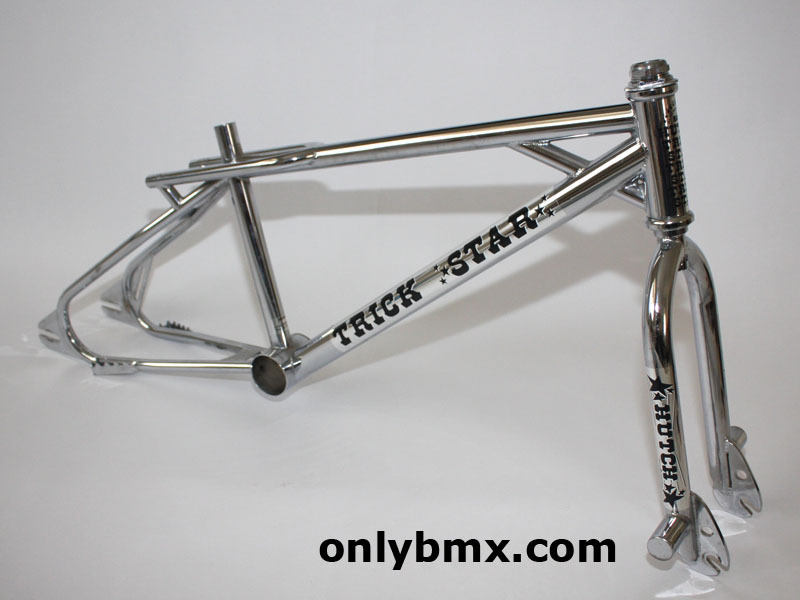 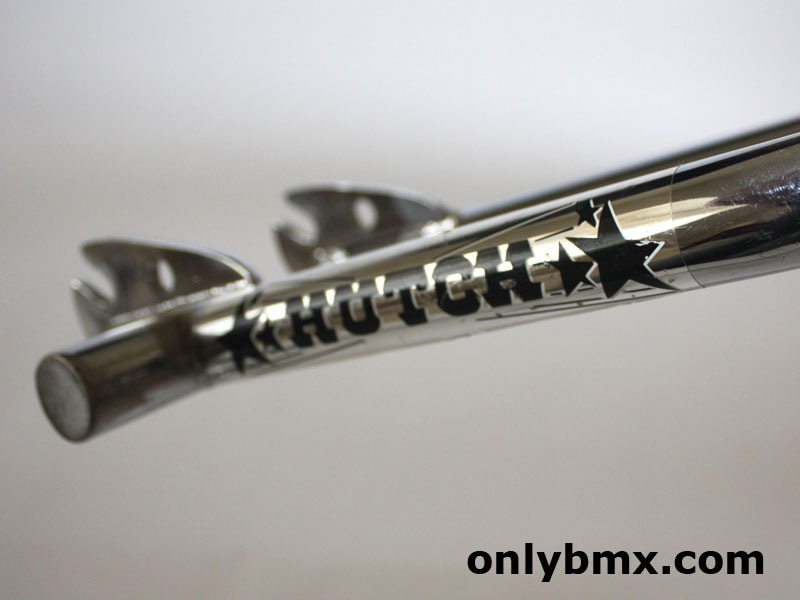 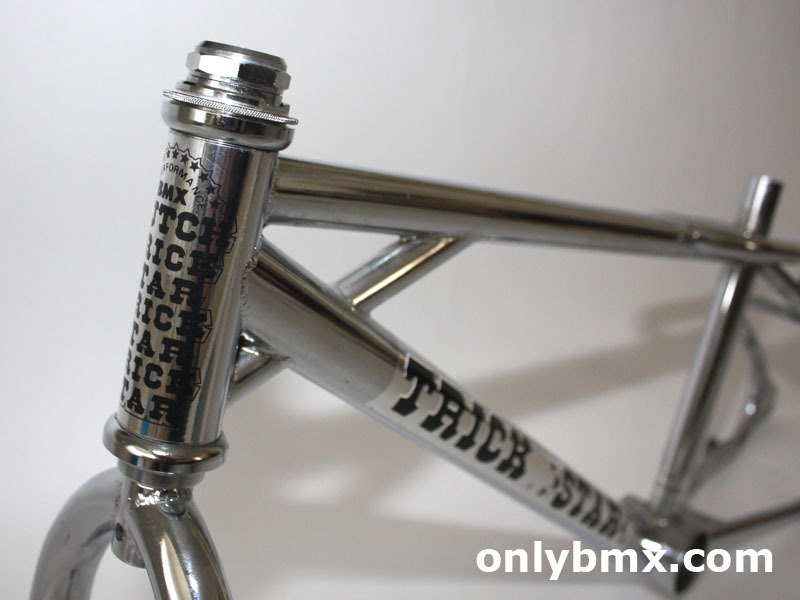 Photos tell the story and you can see the show chrome Hutch BMX used has stood the test to time. 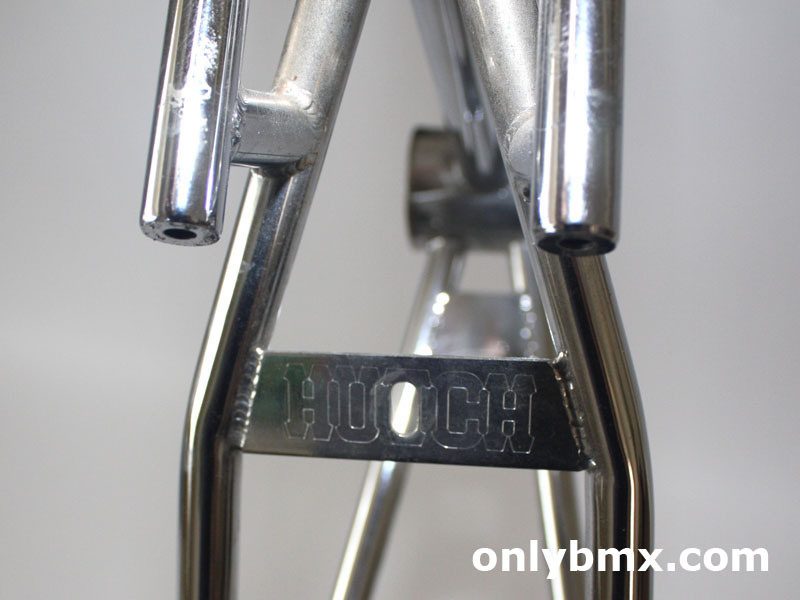 There’s a few marks on the fork pegs, which because of the design are to be expected. 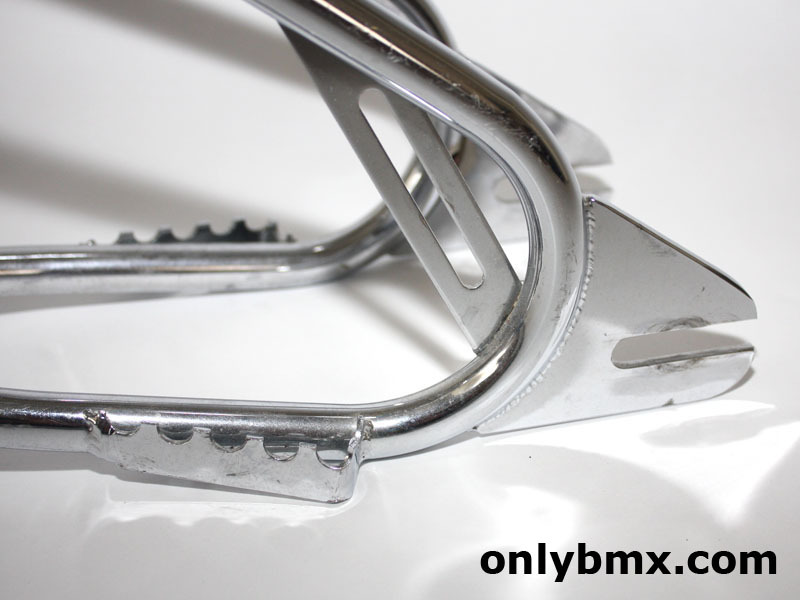 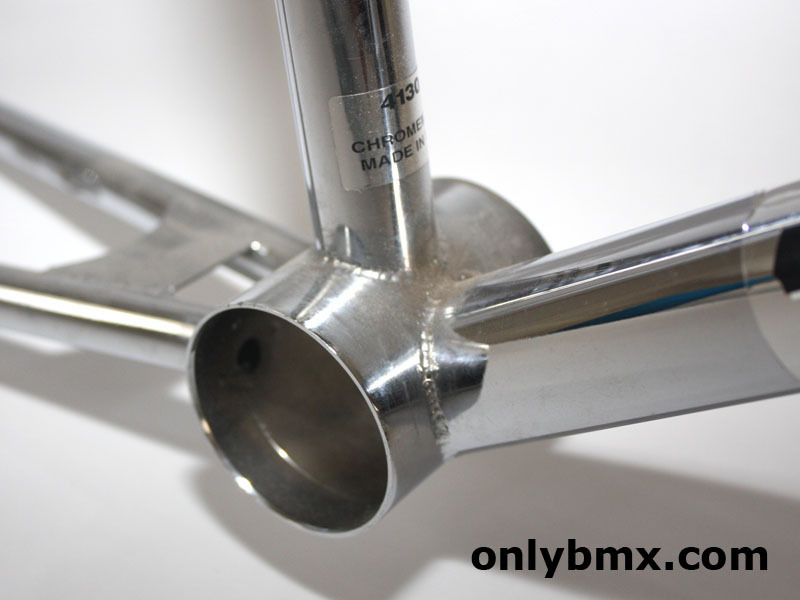 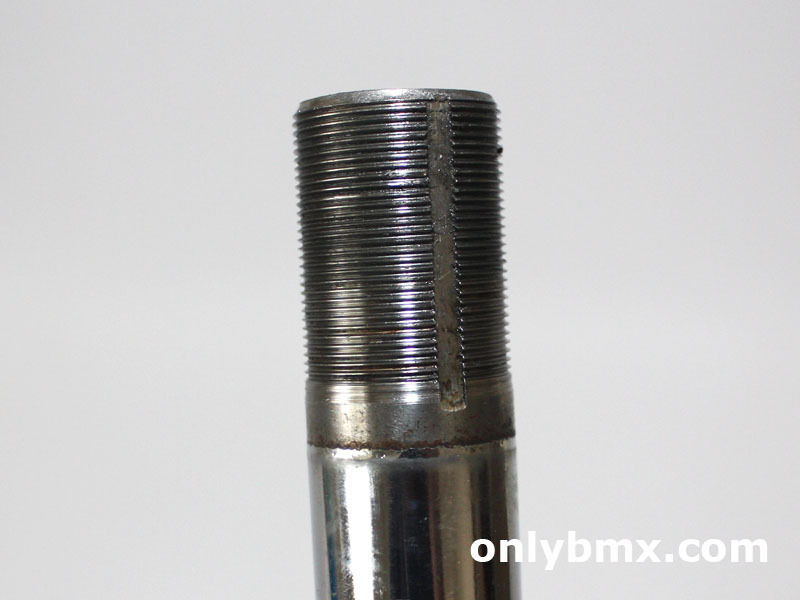 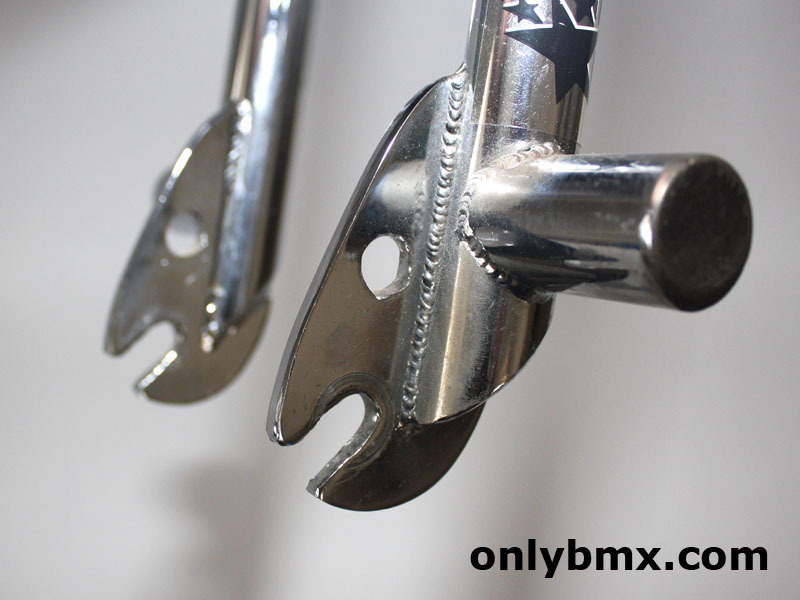 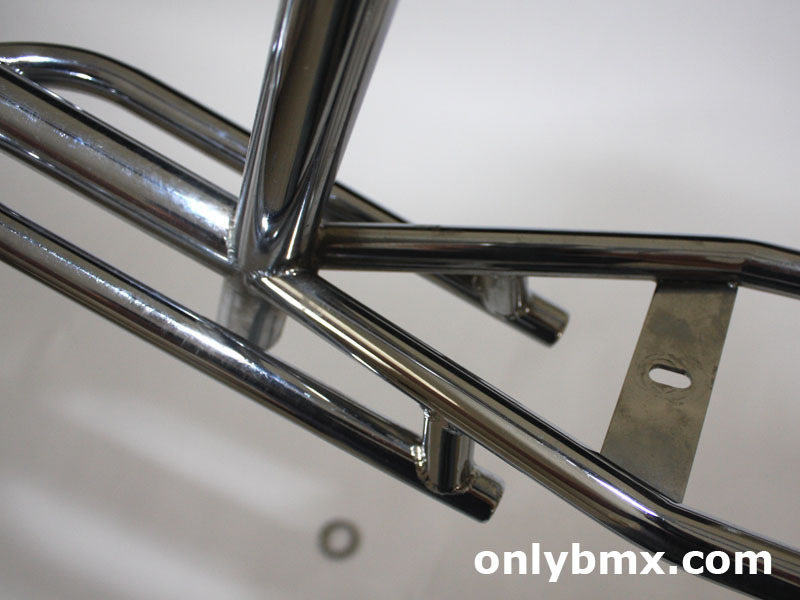 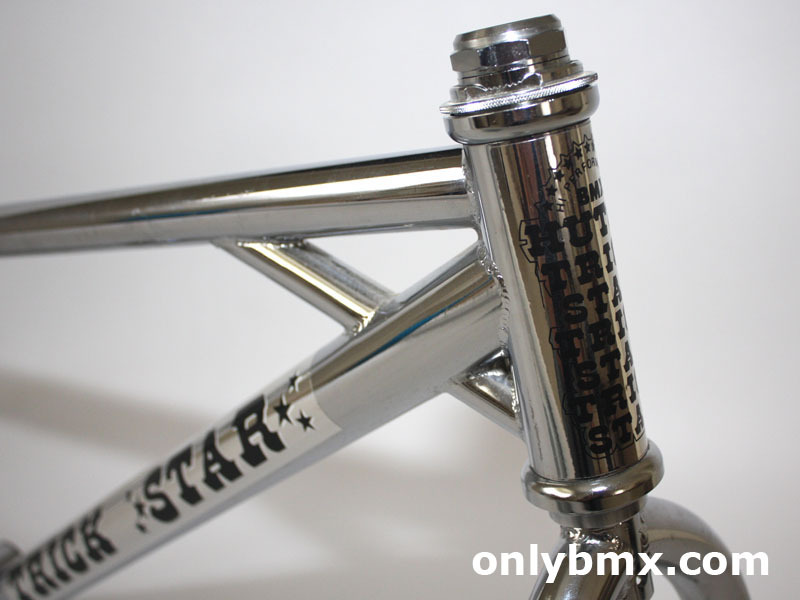 This is a US made frame set based on the differences as noted on the forums such as Vintage BMX. 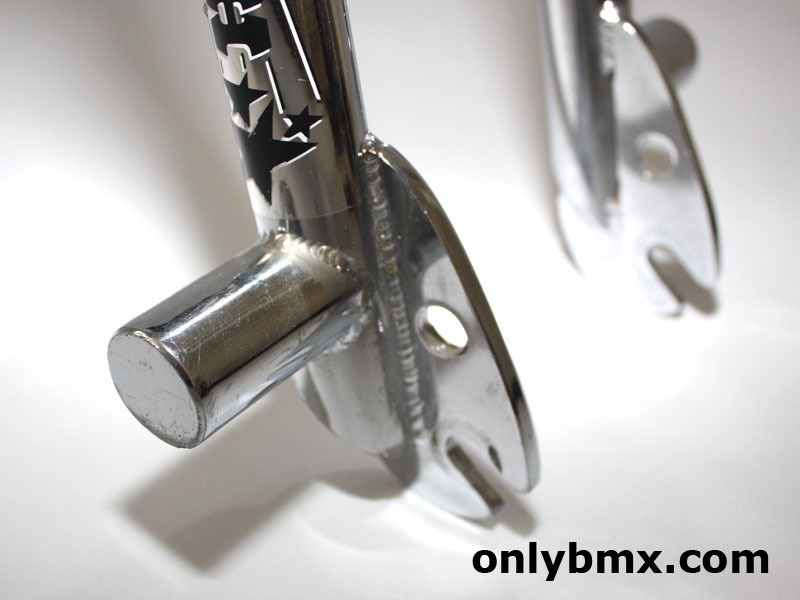 Comes with the Tioga Bear Trap headset as shown in the photos.